My shaving cream is the Sheffield company's sandalwood scented Premium Shaving Cream. I've had a yearning for something warm and woodsy for quite some time (oo-er missus) so I was delighted when I got my hands on the gleaming black tub. My joy increased ten-fold upon discovering that it proudly proclaimed to be made from 99.9% natural organic ingredients - ideal for my sensitive skin. So, how did I find it? Read on, dear reader and you shall find out. I thought it would be useful to categorise my review into the following – packaging, fragrance, lubrication, value for money and experience. I have also given ratings out of five using the Norton of Morton moustache motif (one being utter tosh and five being tip top). The tub is panther black in colour which gives a ‘Milk Tray man’ quality to it. It also arrived encased in a box covered in Edwin Jagger insignia, appealing to my simple taste. It is described as "subtly fragranced" and I would agree. Although if anything, it is too subtle. I expected more. "Woody aroma, exotic peppery wood and spiciness" – my nose sadly did not inhale this combination of smells. 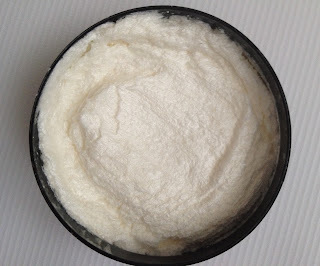 While it did create a "luxurious lather for a smooth, comfortable shave", it took a while to whip it up compared to my Truefitt and Hill ‘Ultimate comfort’ cream. 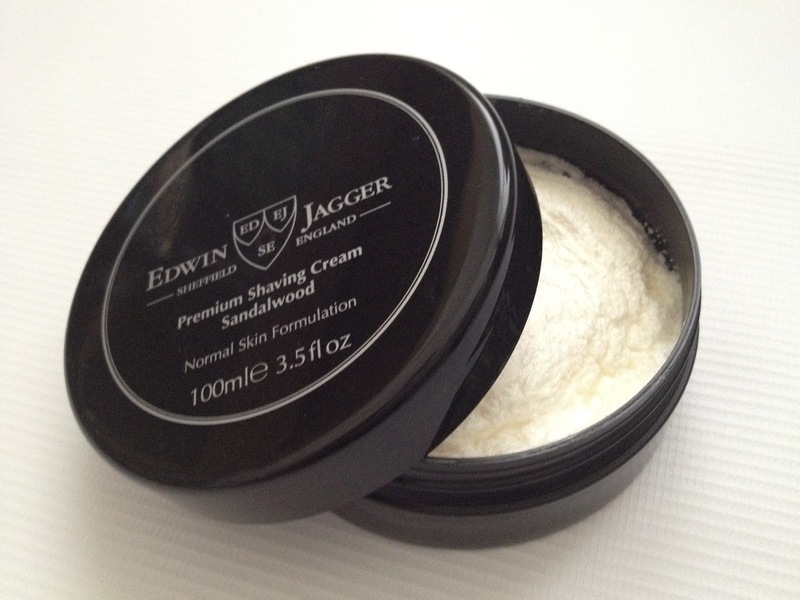 However, whereas the ‘Ultimate comfort’ had a tendency to dry on my face quite quickly, the Edwin Jagger sandalwood cream most certainly did not so brownie points are gained in this respect. As this was a gift, I feel a little guilty researching the price but for the purposes of providing a thorough review, I had no choice. Eleven pounds sterling will secure you a 100ml tub from the marvellous Traditional Shaving Company. Considering that the cream is made from 99.9% natural ingredients, I feel this provides splendid value. I enjoyed using the sandalwood cream but I expected a little more. Having previously used an unscented shaving cream, it was a pleasurable experience switching to something with a scent, even if it wasn't as pungent as expected. Made from the finest natural ingredients, it is a quality product using sandalwood essential oil. However, the smell failed to live up to my woodsy expectations and it didn’t seem to lather up as well as I have previously experienced. Of course, it is only fair to note that I can only compare it to the Truefitt and Hill cream, which is my first 'real' shaving cream. I do hope you find this little review useful. Oh I love the way you gave it little moustaches instead of stars!! Now I can't claim this review is of much use to me (perhaps when I'm much older and whiskery), but I enjoyed reading it none the less. I must confess, the moustache motif idea was a moment of inspiration from my beloved. I think it works rather well!